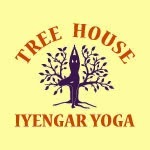 Tree House Iyengar Yoga, 18021 15th Ave NE in Shoreline, announces a new 9-week session of classes beginning November 4, 2013. Students new to Tree House get a free class in the beginner Level I or Gentle class. Tree House recently celebrated its 10th anniversary of providing quality yoga instruction in our area. But you get more than yoga classes at Tree House, you also get a community of caring people who support local services. We invite you to join us on Thanksgiving morning from 9:30--11 for our Fifth Annual Benefit class for Northwest Harvest. Just one example of our community coming together to support the wider community. For more information on classes or events see the webpage.